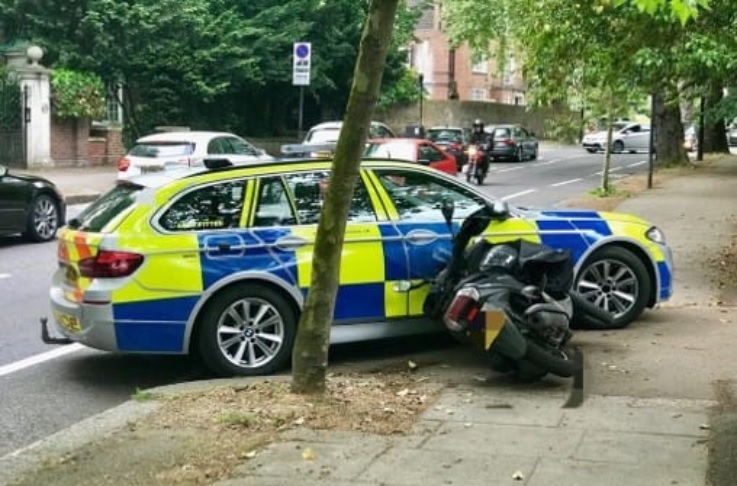 The Met Police says it will target moped and motorcycle criminals ‘at every opportunity’, after publishing footage of officers knocking suspected criminals off their bikes. Footage released on 23 November shows the tactics that specially trained drivers are able to use to reduce the need for pursuits and prevent injury occurring to offenders and members of the public. This includes DNA forensic tagging and the use of automatic tyre deflation devices – as well as driving police cars into riders. The Met Police hopes that by demonstrating the full range of tactics that officers are prepared to use against moped and motorcycle criminals, potential offenders will think twice about their actions. However, according to BBC News, the Independent Office for Police Conduct (IOPC) said it is investigating three cases involving ‘tactical contact’ by the Met Police cars on scooters. Figures show that between January 2018 to October 2018 there were 12,419 offences involving mopeds, 7,036 fewer than the same period in 2017. The Met has linked the decline to the introduction of intensive proactive policing and engagement, led by the Operation Venice Investigations Team. Commander Amanda Pearson, from the Met Police’s Frontline Policing team, said: “The Met is at the forefront of tackling moped and motorcycle crime and I am pleased to see that we have seen a reduction in offences. “However, we are not complacent and we will continue to work tirelessly across London to maintain this downward trend. “Operation Venice can call on all manner of tactics from an experienced investigation team to police helicopters to tackle and arrest offenders. “There is a perception that if you remove your helmet or fail to stop for police when requested to do so we will not take any further course of action. This is untrue.